Domestic Ambassadors Ltd, your Domestic Services with a Personal Touch. Here at Domestic Ambassadors Ltd we know the importance of having a home that is both clean and tidy. Filipino housekeepers are world-renowned for their dedication to work, they are known for their high standards in cleaning and housekeeping as well as childcare and the care of the elderly. It can be very hard to keep on top of your entire housekeeping when you work long hours and have a busy and demanding family life as well. 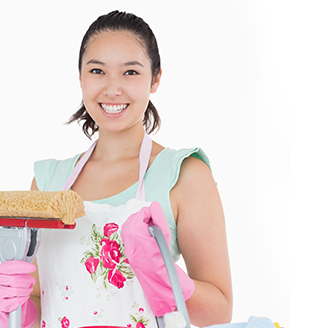 Here at Domestic Ambassadors Ltd we have over 11 years of experience in providing domestic housekeeping, childcare and elderly care. We have been in operation since 2004 based in London serving the needs of the capital and nationwide with experienced and vetted staff for all our services. We also have a growing portfolio of non-Filipino applicants available for domestic live-in and daily positions. Majority of our applicants are Filipinos but also include applicants coming from different ethnic diversities. We take a great deal of care and consideration when interviewing applicants and matching their working experience and to our clients’ specific needs. We take pride in the work we do and the excellent services that we provide to all our clients, ensuring clients receive nothing but the best from us. We know that often many people think that housekeeping is a job they are too good for and that they simply wouldn’t consider cleaning someone else’s home, but we are passionate about ensuring this service is provided to the best of our abilities. Registration is FREE for both clients and applicants. To the applicants: We have positions that provide many rewards to you as an employee. You not only gain position in a reputable company but you will meet many kind and generous employers while providing a family with a beautifully clean and organised home. Our clients offer brilliant rates of pay and interesting working environments, Tax and National Insurance contributions and a Contract of Employment.